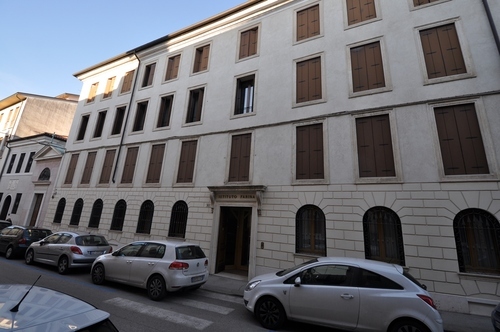 The “Casa generalizia suore Maestre di Santa Dorotea” is located in Vicenza (Contrà San Domenico, 23). This is the place where Maria Bertilla Boscardin took vows, and became part of the order in April 1905. 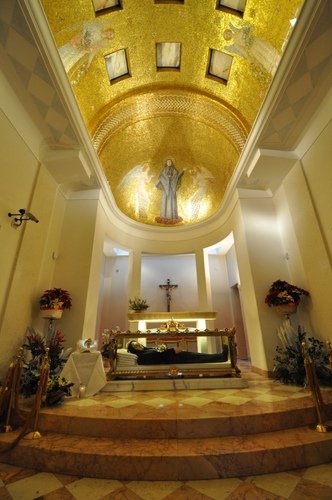 There is a chapel dedicated to her which was built in 1952, in view of her beatification. She was blessed on August 16th of that year. In the same year the urn containing the remains of the saint were placed under the altar table. 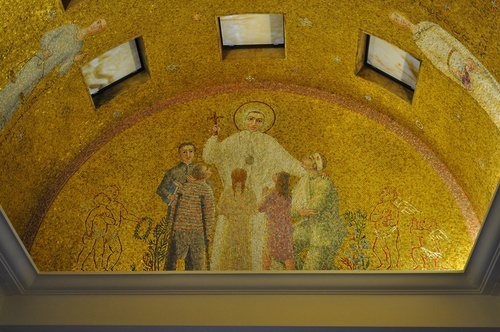 In 1961, the vaulted ceiling was decorated by professor Angela Gatto with a majestic and precious mosaic depicting the theological virtues, the cardinal virtues and the evangelical counsels of chastity, poverty and obedience lived by the saint. In 2002 thanks to the work of architect Paolo Portoghesi the chapel was made more bright and harmonious. The altar that was previously in burnished copper, was replaced with a white marble and the urn containing the remains of the saint was placed in front of it. 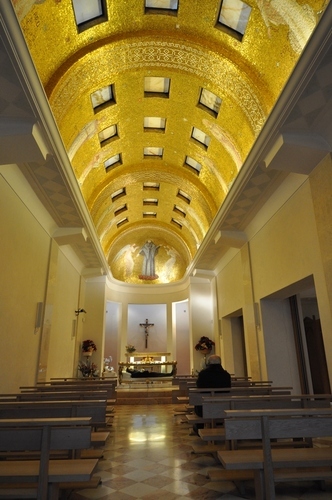 In 2002 thanks to the work of architect Paolo Portoghesi the chapel was made more bright and harmonious. The altar that was previously in burnished copper, was replaced with a white marble and the urn containing the remains of the saint was placed in front of it. In the crescent, placed above the entrance door, Santa Bertilla is portrayed surrounded by sick people she loved so much. 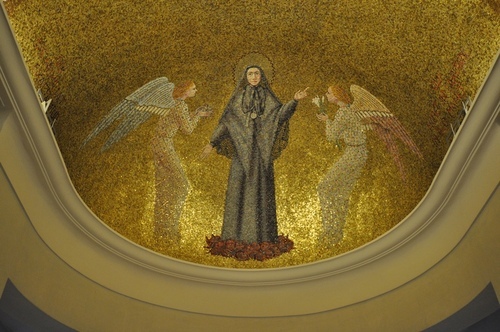 There is also a mosaic in the apse, where she is depicted in glory between two angels, one of them carrying a lily, a symbol of pure love, and the other holds in her hands the violets, symbol of humility.